California author Josh Luke, PhD is an inspiration to us all. His contribution to whole health began action by the declining health and onset of Alzheimer's disease of both his maternal and paternal grandmothers. Moving from one successful career he moved into the health care sector, rapidly rising through the ranks of health care administration, and becoming one of the country's youngest hospital CEOs by the age of 32. 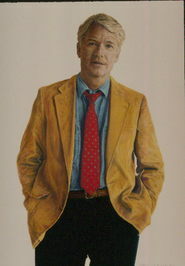 In addition to being a motivational speaker, acclaimed internationally for his educational, motivational and often humorous presentations he has a rich teaching history in public policy and Healthcare Administration at numerous universities, most recently designing healthcare course work for the University of Southern California's Sol Price School of Public Policy. He also dedicates time each year to being active in health care advocacy in our government. 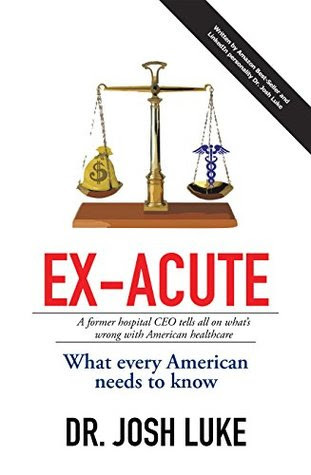 In this acerbic treatise Josh uncovers all those hidden flaws that taint American medicine but he does so in a manner that is not condemning but is edifying – how much doe s money affect health care delivery (money controls everything else in our lives! ), hospital profitability, bundled programs, the EMR (electronic medical record blitz and physician/patient time versus insurance coding time), managed health care (HMO) long term care insurance, ACA and the single payer system, discharge form the hospital policies, and involving families and loved ones in the care of the ailing member of the unit. The aspect of Josh’s book that makes it special is that he shares his own life experiences with each of the topics he addresses. Yes, the book is controversial, but that is the best way to create e much needed change in our health care system. Highly Recommended of all readers – in the medical field and outside the medical field.